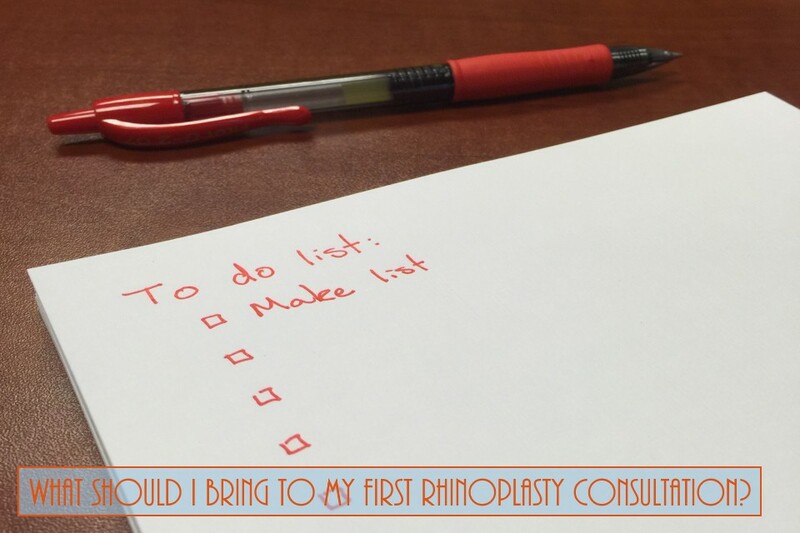 Home > Blog > What Should I Bring To My First Rhinoplasty Consultation? Here are just a few things you may want to bring to your Rhinoplasty consultation. 1: A list of questions you may have for the surgeon, it could be about the surgery itself or about his experience with rhinoplasty surgery or accreditations. 2: A list of medications and medical history for reference.